The holiday season is officially upon us. Can you guess what that means? It means you are probably eager to spruce up your home for holiday gatherings and celebrations and nothing freshens up your living spaces like clean carpets. However, how do you know you’re picking the best carpet cleaning company and is the holiday season really the best time to have your carpets cleaned? Just as you make any purchasing decision, it is easier to choose a carpet cleaning service once you identify what you need. For example, are you looking for an environmentally friendly service to provide regular carpet maintenance for your home? Do you need a company that can also care for your prized Persian rug and upholstery? Determining the services that you need from a carpet cleaning company before you begin your search allows you to eliminate the businesses that don’t fit your needs so that you can focus on a select few. TIP: Area rugs require the expert services provided at a commercial facility for safe and effective cleaning. Safeguard your investment by making sure that you hire a carpet cleaner who understands how to deliver special care to the rugs that give your home warmth and personality. Time in Business: There’s something special about a business that has been in the industry for a long time and has a good track record. At Brothers Cleaning Services, we’ve learned a lot in over 40 years and continually offer our customers excellence. Truck-Mounted Systems: A truck-mounted cleaning system is vital to a thorough cleaning. Because the system is truck mounted, the power of the hot water extraction can be strongest, ensuring that your carpet is left clean and with as little moisture as possible. Environmental Awareness: The chemicals that are often used by many carpet cleaners can be harmful to the environment (and you), so it’s important to know which steps your company of choice takes to have as little an impact on mother earth as possible. At Brothers Cleaning, we insist on using certified products that are good for the earth, while also cleaning well. Investment: The company that gives you the lowest price quote isn’t necessarily the best value. Instead of looking for low prices, choose the carpet cleaning company that has the best results. Make sure that you ask for a no-obligation cost estimate from each business on your list. At Brothers Cleaning, we always offer a free estimate. Don’t be shy about picking up the phone to call a company directly. We enjoy chatting with potential clients, and we’re happy to answer any questions that you have regarding carpet care. Any professional cleaner should speak with you without hesitation. Web searches, online reviews, and word-of-mouth referrals will point you in the right direction as you seek a high-quality carpet care company. Scope Out Online Reviews: Authentic customer reviews are readily available on sites such as Angie’s List. One of the best things about these type of review sites is that the businesses can’t remove negative reviews, so you’re going to learn about potential problems. Because customer expectations differ, it’s a good idea to read many reviews to get an overall feel for the business. Check the Chamber of Commerce: The Chamber of Commerce is a great way to check on a company. We’re proud to be a part of Eugene and Springfield Area Chambers of Commerce, and even more proud to be involved within the community. Ask People You Trust: In our increasingly online world, it’s easy to forget that your friends and family often have the information that you’re searching for. Don’t forget to ask the people in your life for recommendations. You’ll be surprised how much help you’ll receive in response to a social media post asking for cleaning referrals. Now that you know what to look for in professional carpet cleaning company, when exactly is the best time to get your carpets cleaned? Although we don’t necessarily recommend a specific time of year for carpet cleaning, we do have enough experience and expertise to suggest a routine that has given our clients the best results. 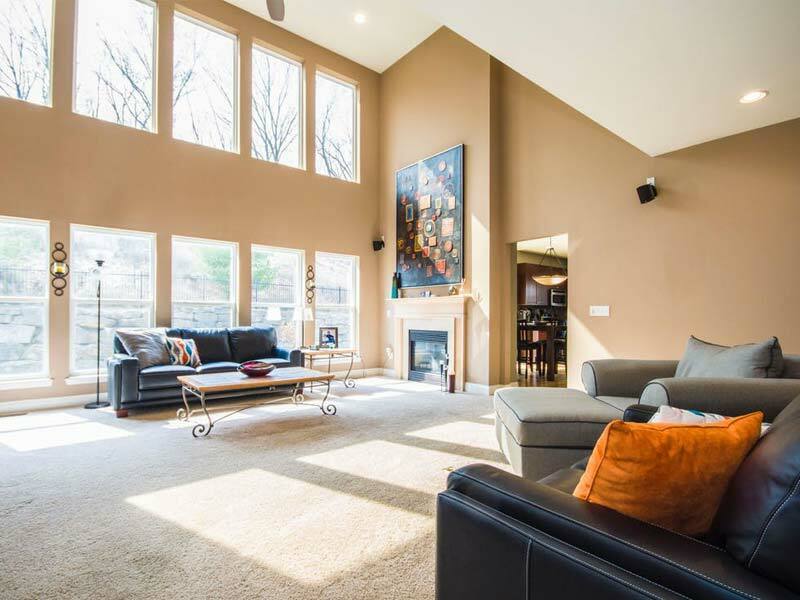 At Brothers, we suggest that our clients plan on one whole-house carpet cleaning per year. In addition to your yearly cleaning, we also recommend you have us come in in the middle of cleanings to target the high-traffic areas. The most popular time do that extra cleaning is right before the holidays start, so your home is ready for your guests. We sure hope that, as you prepare for your holiday guests, this article helps you not only pick the best carpet cleaning company, but also know that today is a great day to do that extra cleaning. Contact us to schedule a free estimate. As always, you can trust Brothers to get the job done with integrity and professionalism.